Samsung Galaxy Grand 2 Specs, Manual, Price | The Samsung Galaxy Grand 2 is dual sim smartphone with Quad core, 1200 MHz processor. 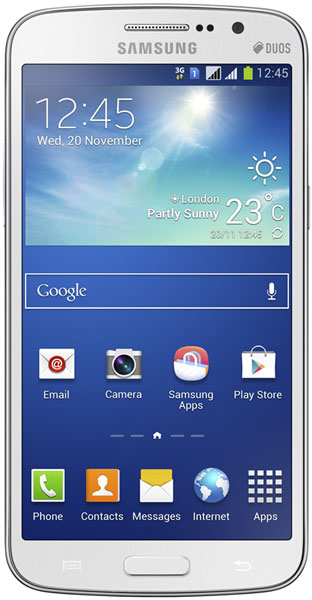 It runs on Android (4.3) TouchWiz UI operating system with 1536 MB of RAM. The phone has physical dimensions of 5.78 x 2.96 x 0.35 inches. It's equipped with 8 MP camera with Auto focus and Geo tagging features.